The extensive recovery services provided to our members allows them to maintain a sober lifestyle that is similar to what many upscale rehabs provide at a fraction of the cost. Unlike other recovery houses, our recovery homes are not just a place to live, but a place to thrive, to change, and to implement real steps that lead to a recovered life. Our high success rate is attributed to providing a upscale, spacious, and serene environments with complimentary recovery services that helps restore our members to a high quality of life. Listed below is a list of the support we provide our members to further assist them with their development. Our housekeepers come and and do a deep cleaning every month. While our Members still have weekly chores to maintain, this service provides an extra effort to maintain a clean and healthy sober living environment. Members are still responsible for keeping their bedrooms and bathrooms cleaned each week. Members receive daily workout options with their YMCA membership which is included in their rent. Benefit: You’ll receive access to top notch workout facilities which will help you stay in shape and help you develop small goals along with a plan to ensure you reach the next level of your health & wellness. 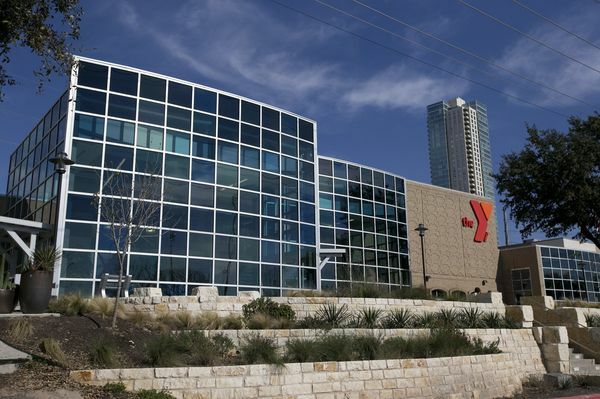 Members can enjoy the most upscale fitness facility options at The YMCA in Townlake. Benefit: Members have access to one of the premier fitness facilities in the U.S. (YMCA ON TOWNLAKE) which is conveniently located a few miles from our sober living home and includes weights, yoga, pilates, racquetball courts, basketball courts, spin classes, swimming pools, steam rooms, jacuzzi’s, saunas, and a reading lobby area. Meditation has proven to be so successful, that it is listed as the 11th step in the 12 step recovery program. Benefit: Members can participate in on-site meditation daily. This helps our members ease the mind, connect with their heart, get grounded, refocus thoughts to higher levels, calm emotions and connect with their higher power & true self. Nutrition physically aids in recovery by replenishing the body with healthy vitamins, minerals, herbs. This helps reduce cravings, increase energy, decrease anxiety and assist with adapting to a naturally healthy and balanced life. Benefit: Members can choose to receive a session with our wellness and fitness coach to help them develop a healthy lifestyle and achieve their health and fitness goals. Yoga addresses all three areas of addiction; the physical, mental and spiritual components as well as the underlying issues. Yoga has also been proven to help reduce stress, anxiety, and depression and increase peace and understanding. Benefit: Yoga has been used for thousands of years to help release toxins from the body, calm the mind, and allow healthy, positive energy to flow. Many different yoga classes such as; Kundalini, Hatha, Ashtanga, and Bikram are offered at the YMCA on Town Lake where our members receive a complimentary membership. The 12 step program allows members to believe in a higher power greater than themselves, based on a god of their understanding. Benefit: We like to assist our members with their spiritual guidance journey by suggesting one of the only recovery based churches or zen centers that practices daily meditation, and is a non-denominational, non-judgmental Christian church, founded by Father Thomas Keating, the founder of the Christian Contemplative Movement who has also written the book “AA and Meditation”. The Shambhala center is located in the Boldin Creek neighborhood centrally to all of our homes which our members can enjoy complimentary. Our extensive drug testing allows us to detect several drugs, in which we test our members twice per week. Members share their experience, strength and hope with others in recovery, and live out the 12th step by helping outside meeting rooms that provide these services. We do this by simply arriving early to help set up meetings, volunteer to lead meetings, serve coffee and food, help fold chairs and put away the trash. One such meeting is called Austin City Wide which allows members together as a house to serve once each month in a very large setting where approximately 500 individuals in recovery attend. A pot luck dinner is offered before a popular AA circuit speaker presents his story for overcoming addictions. Benefit: By taking the focus off of our addiction and serving others in a recovery fellowship we find that we are the ones who also greatly benefit with this service which helps maintain our sobriety. Depending on what is best for our members sobriety we can request or suggest they attend 90 meetings in 90 days with the option of providing attendance cards. We assist in this with providing attendance cards that we collect on a weekly basis during our weekly 1 x 1 counseling session. 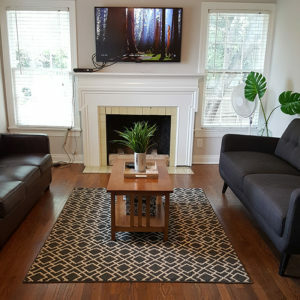 There are literally hundreds of recovery meetings that occur each week within a 15 minute drive from our recovery house and we provide assistance with suggesting where some of the most effective ones based on different demographics are. Benefit: Recovery peer support meetings are the cornerstone to almost every effective recovery program, whether it is a 12 step meeting or non-12 step meetings, such as, SMART meetings, which is why we encourage our members to attend 4 outside recovery meetings per week and provide 3 in-house recovery meetings per week. 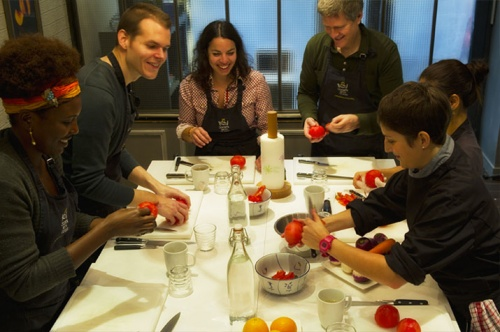 Our Members will have the opportunity meet and fellowship monthly for fun community events. 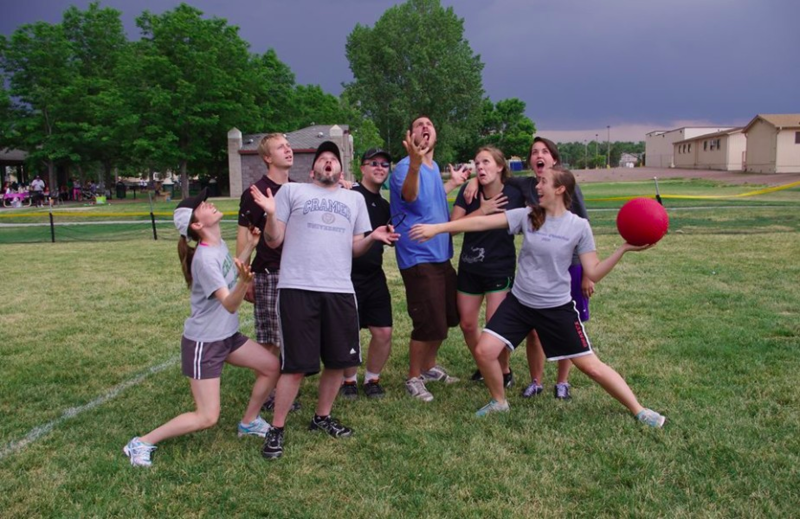 In the past, we have gone Laser tagging, played Kickball, Cliff Jumping, Flag football, etc. Our parent company owns several sober living homes all over the city of Austin and community & family is one of our core values. Benefit: Fellowship, community, friendships, relationships – all of which are important when we recover and gain a new sense of wholeness and work through our recovery. Originally we were wounded while in relationships, and through finding a higher power and healing our soul, we become healed through relationships Also, fun & play are also core values that we strive to implement in our organization, as it says in the big book – We are NOT a glum lot! or call 512-765-5711 to speak with one of our professional sober living staff.